I know what you’re thinking: How can modular buildings save me money? I was sceptical at first as well but after doing my research the results are surprising. Did you know that modular buildings can save you over 20% of what you’d initially spend on traditional construction methods? In this blog, I’m going to discuss the different methods in which modular buildings are PROVEN to save you money! We’ve all experienced it haven’t we? Waiting on months endlessly for houses to be built. Quite frankly it’s annoying and traditional companies really need to speed up the construction process. I have a construction site at the back of my house that was scheduled for an 18-month period. There are two things that annoy me about this. The first thing is the time schedule. How does it take 18 months to build a couple of houses? It’s absurd to say the least. The second thing that really annoys me is that they’ve GONE OVER the 18-month period. I’ve been waiting since the summer of 2015 and imagine my disappointment when 3 years later it still isn’t done. I wouldn’t mind waiting but the noise, vibrations and all around disturbance to my environment is bugging the hell out of me. I’ll be glad to see the back of it but what if I didn’t have to wait this long? 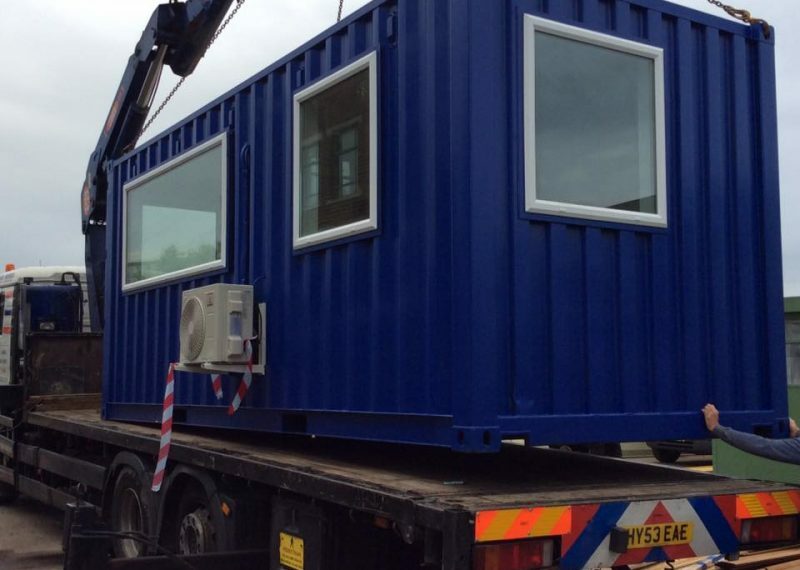 What would the timescale be for a modular building project? 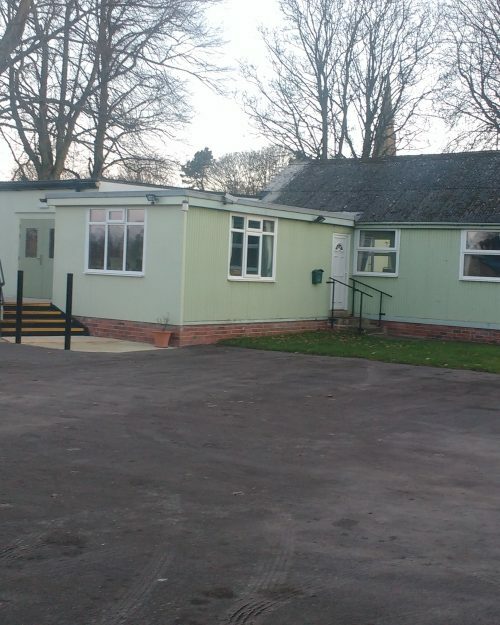 From the previous research that I did for one of our other blogs, Top 5 Reasons to Switch to Modular Buildings- Speed of Construction, modular buildings can be assembled within a 12 week period in comparison to traditional construction which takes up to 7 months to complete. Astonishing I know, but that isn’t even the best part. Like I said earlier it’s not the waiting that annoys me but all of the noise and disturbance; however, what if I told you that all of this could be avoided. 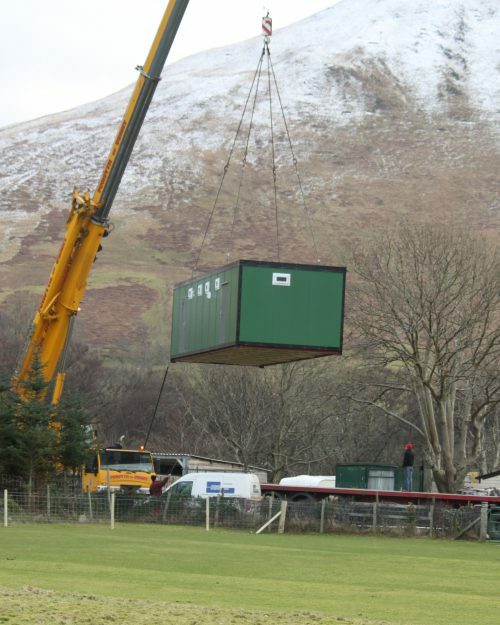 That’s right, modular buildings eliminate the need for environmental disturbance due to their off-site construction. The majority of the building process for a modular building is done off-site and only the assembly is done on site. Depending on working days and contracted hours assembly may take anywhere from 1 day to 2 weeks. Think about that for a second though. You avoid all of that unneeded noise and it saves you money. As I’ve just explained modular buildings don’t take as long to construct as traditional buildings and houses. Instead of paying for 7 months of man hours, equipment rental and material costs you’d only need to pay a third of that. It’s really that simple: Fewer hours = Less you have to pay people. 2. Adverse Weather Days? Pfft, say goodbye to them. Okay, I’ll straighten with you, I had no idea this was a thing until I looked it up but it’s actually a real thing and can cost you a lot of money. Adverse weather days are what construction companies account for when building outdoors. As much as we’d all like to be Storm from X-Men and control the weather we simply just can’t which is why construction companies account for adverse weather days when they can’t work. You still have to pay for their time whilst they take these days off and they’re not even doing any work. I know people need to make a living but I think it’s really unreasonable of them to charge you due to conditions out of their hands. Do Modular Buildings account for adverse weather days? No, because they don’t have to. Modular Buildings are constructed in warehouses which means the construction process doesn’t have to stop and they can get the buildings built without having to delay the construction process. I don’t see the significance of paying people for adverse weather days when I’d still be paying people to construct modular buildings anyway. If construction companies are working on a housing project for 8 months and they have to plan for 64 adverse weather days that’s 2 months of no work being done and you have to pay them for it. 2 MONTHS PAY FOR DOING NOTHING, I’m sure we’d all love that. When we look at it like that it’s a lot to pay someone for doing nothing when we could reinvest that into a modular project that would be done quicker and more efficiently. Having an efficient process allows for things to be done quicker, materials to be saved, more projects to take on and more money earned. So why don’t more construction companies follow this? There are a few reasons as to why construction companies don’t or rather can’t work efficiently: Adverse weather days, lack of staff, outdated and inefficient construction methods. Now, obviously this doesn’t apply to ALL construction businesses but it can be said about some. Inefficient methods cost more money to run which costs you more money. Most modular companies work with the mindset of: efficiency, efficiency, efficiency. 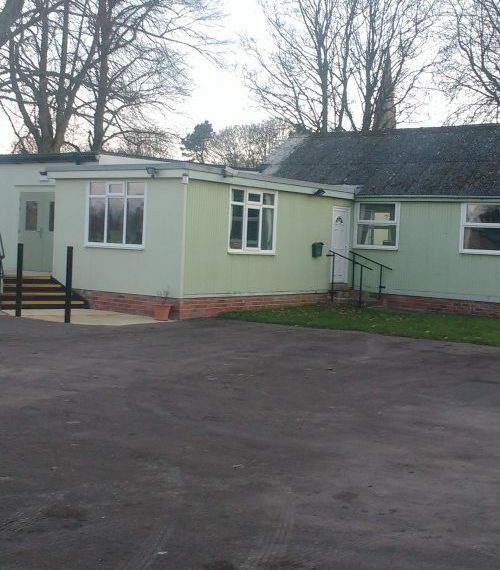 For those that don’t know many modular projects such as modular site offices, modular classrooms, nursery buildings and others are all mass produced. This doesn’t mean that you don’t get a bespoke design it just means that the foundations are mass produced in order to increase efficiency and deliver a high-quality design that can be replicated time and time again. The level of efficiency easily trumps that of traditional construction sites and it’s for this reason that you can have the peace of mind to know that your money isn’t wasted on sloppy and inefficient practices. I briefly covered this topic earlier but I really want to push the point across that traditional construction severely disrupts the environment. Not only this but it can also delay construction based on planning permissions and any errors. So, first off what do I mean by any errors? If you don’t know a lot of our essential pipelines lie underground and can be disturbed by diggers if they accidentally interfere with them. A famous case for me was construction workers laying a new road and accidentally bursting a water line. Not only did this leave me with a lack of water to my house but it also meant that my main road was shut off for 3 days whilst they repaired it. Luckily this was an urgent case and they were able to identify the situation straight away. However, imagine if this was in a construction site in the middle of a quiet town and they didn’t realise they had disrupted an electricity cable. The construction workers wouldn’t know, residents would have no electricity and when the construction company figured out it was them they’d have to stop construction to repair the damages. This results in a lack of work being done to the project and it also means that the company loses out on money as well because they have to pay for the damages they’ve caused. Modular projects don’t have to worry about bursting any pipework because the bulk of work is done off-site which means there’s nothing they can really interfere with. Even when the work begins on-site it doesn’t disrupt any pipework because you’re simply laying a building on a solid/flat surface. 1. 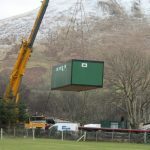 When modular building companies set up a modular building on site they require flatbeds and cranes to have access to the site. This isn’t an issue if they’re providing a site office on a construction site as they’re required to provide access to these sort of vehicles. However, if it’s a nursery building, modular classroom or modular building extension then they might struggle to gain access depending on road widths and the positioning of the building. 2. The second issue that presents itself isn’t terribly huge but it still disturbs the environment. 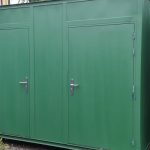 For most of these buildings, whether it is a site office or a modular classroom, a water line and electricity line can often be required. A bit of groundwork may be required to give them access to water and electricity. It isn’t just physical disruption that construction companies output it’s also noise pollution and CO2 pollution. I feel like a monotonous drone talking about noise pollution but it’s something that really grinds my gears. From 7 am – 5:30 pm I have to listen to the noise of heavy machinery going off. The banging of a jackhammer, the obnoxious “warning vehicle reversing” voice, the constant beeping and shuffling of vehicles is enough to drive anyone insane. There are two things that make this worse though: They work on a weekend and my house vibrates when they’re digging. It’s got to the stage where I just want to break down and cry because I know no matter how much I complain they still won’t hurry up or be any less quiet. What about the CO2 pollution though? According to reports construction sites contribute to 10% of all of the UK’s CO2 pollution which, when you think about, is shocking. I was astonished when I read this because that number is rising instead of decreasing. To provide some context behind this there are over 26 million registered cars in the UK which equates to 37% of all pollution within the UK. However, it was reported that there were 56,000 construction jobs last year and yet it contributes to 10% of the UK’s pollution. Whether those statistics are accurate or not it still stands that the construction industry contributes an absurd amount to the UK’s CO2 pollution. Enough of the rant, this is the important part. Modular projects don’t contribute to the UK’s pollution nearly as much as traditional companies? 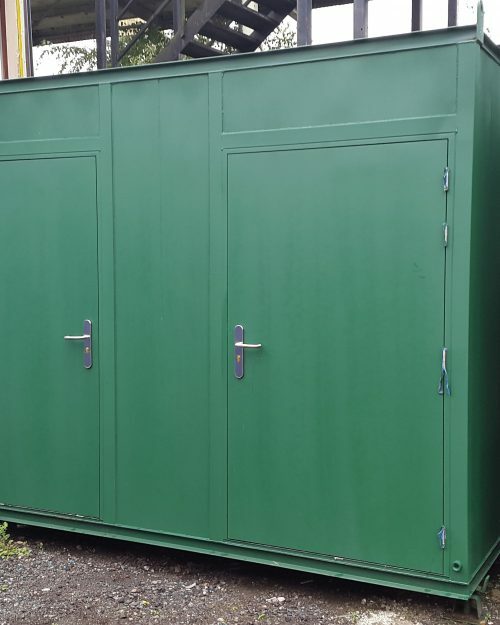 One of the best things I’ve found about modular buildings is that they are not only built in an eco-friendly but they also have eco-friendly options available to be installed. To give an example, many nursery buildings are built with a sedum roof which helps to reduce CO2 emissions (for those that don’t know sedum roofs are the roofs that have plants in them which absorb CO2). 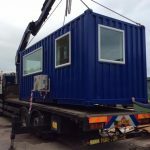 If you’re interested to learn more about how good modular buildings are for the environment check out our blog about the eco-friendly properties of modular construction. Why does this matter? How does this save me money?! If modular projects don’t disturb the environment you don’t have to delay the project to repair the damage you’ve caused which already saves you money. Less pollution helps to save the environment and if you can save energy through eco-friendly methods you’re also saving yourself money; it’s a win-win situation. Construction companies have a cycle that they go through: Setup, Construction, Clean up. What exactly do these mean? Setup is the process in which construction companies set up ready for their construction process. This includes setting up a site office, transporting materials, transporting vehicles and machinery. This takes a couple of days away from working on the project but companies account for this. Construction is pretty self-explanatory. It’s the process in which the companies construct and build whatever project they’re working on. This is the most lengthy process and with good reason. Clean up is a tedious task for the companies as they have to clean up the area, remove any waste materials, restore the environment to a healthy condition and then transport everything they set up back off-site. When we look at the modular construction process the building is built off-site, it’s built quickly and then delivered to the client. There isn’t really a need for clean up depending on the work you have done. If a foundation is laid, then there would be minor clean up removing the tools and concrete bags but asides from that you’re not looking at much. 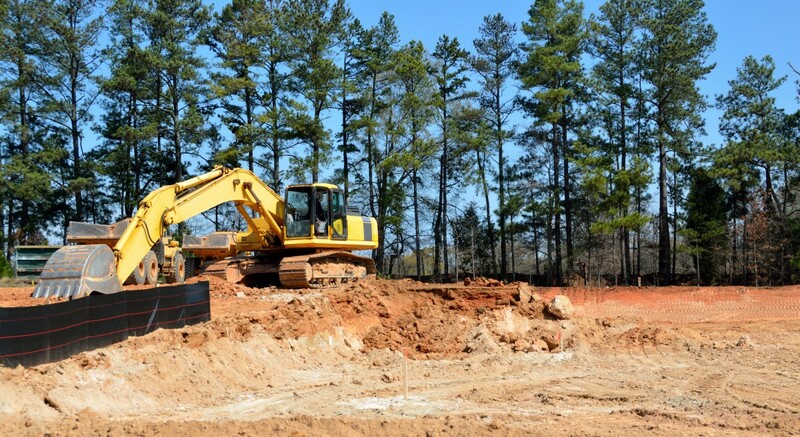 The bulk of the work is done off-site so you don’t have to worry about most of the cleanup. Straight away this saves you money as you don’t have to pay any major fees for clean up. Construction sites, due to their work actually being done on the build site requires them to clean up a lot of stuff. A construction company can’t leave all of their materials and equipment on a site once they’ve finished. For one they’d be leaving valuable equipment behind and two it looks untidy and is bad for the environment. To give you an example it’s like getting a conservatory built. You wouldn’t appreciate the building company leaving all their tools in your garden along with excess bricks and mortar. Unless you moved them they’d just stay there forever which is the same with bigger construction, unless the company moves their materials and equipment it’ll stay there forever. Therefore, they’re required to clean it up which takes more man hours and costs them more money. I’m not disputing that traditional construction sites try to be safe but on some projects, the methods they undertake can be quite dangerous. The most dangerous part of traditional construction, at least in my opinion, is the openness of a site. It sounds unusual, doesn’t it? How does an open construction site scream danger? Let me explain. If a construction site is open it means vehicles have free access to move around the site and there can also be hazards scattered around. Many workers get injured from falling into ditches, having debris fall on their head or getting run over by vehicles. Obviously, this doesn’t happen all the time but when it does it can be fatal. If a site is more open then more vehicles have access to move around, you’re less likely to spot hazards and there are fewer obstacles to stop debris from falling. Risk assessments along with PPE (Personal Protection Equipment) are wonderful and they do a good job at mitigating potential hazards; however, no matter how vigilant people are and how vigorous the risk assessments there will always be user error and unforeseen circumstances. If there are more people on construction sites and there’s more dangerous equipment on-site the chance of injury is increased. As with anything involving dangerous equipment, there’s always a chance of injury but modular construction helps to mitigate risks even further. It’s simple really. The way in which modular construction is carried out is much safer than on-site construction. To start with all work is done in a factory which has protection from the weather and is also on a flat surface. Having a flat surface to work on means there’s low risk in falling over unless there is a tripping hazard present. If you can’t fall you’re less likely to break bones or fall onto dangerous equipment. Being in strenuous positions all day can lead to injury on a regular construction site. Many strenuous positions include doing work over your head, shovelling dirt and doing work laying on your back. Modular projects prefabricate walls and foundations and ground level which in itself is a good thing. You do all the work at a comfortable level which is less likely to lead to fatigue which in turn can result in injury. Once all the components have been built then they can be assembled with the use of cranes and machines that provide support and stability. The use of support machines means there isn’t a need for a team of workers to hold a wall in place whilst another worker attaches it to another. All the strenuous work is placed on machines which means workers are able to perform at a comfortable level. No strain, no injury, right? For the most part yes, if you aren’t tired you’ll less likely to get yourself injured but there’s always something that can go wrong. However, modular construction reduces that chance. The best part? The money saving part! If workers don’t injure themselves then there isn’t a delay in construction. Depending on the accident workers can claim compensation which costs the construction company more money. However, if there isn’t a delay in construction and the project is built quickly you save yourself time and money. Modular construction offers quicker construction time, less pollution and provides safer construction methods, all of which help to save you money. So that’s it for this blog. What was the most surprising method to you? We’d love to hear your thoughts. If you did enjoy this blog, make sure to let us know by dropping us a like on social media.